Nintendo sells a lot of Wii Us and nearly as many Wiis. The hubbub surrounding the Wii U launch seems almost quaint in comparison to the chaotic melees that characterize North America's Black Friday sales. Not to worry though, Nintendo managed to shift a whole bunch of consoles while you were being bludgeoned by a swarm of elderly ladies armed with heavily discounted espresso machines. Around 400,000 units have been sold during the console's first week, according to Nintendo of America president, Reggie Fils-Aime. That's an impressive number, but it falls slightly short of the 475,000 units the Wii sold during its first seven days on the market back in 2006. 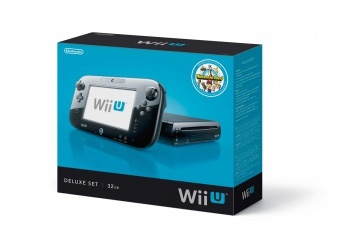 According to Reggie, sales of the Wii U were capped by Nintendo's ability to get the consoles to store shelves. That being said, finding a Wii U has thus far proven far easier than finding a Wii during its launch period. The launch of the new console and the threat of Christmas lurking on the horizon seems to be driving sales across the board. In the same week, Nintendo sold 300,000 original Wiis, 250,000 3DS units and 275,000 DS handhelds.